Justice V.R. 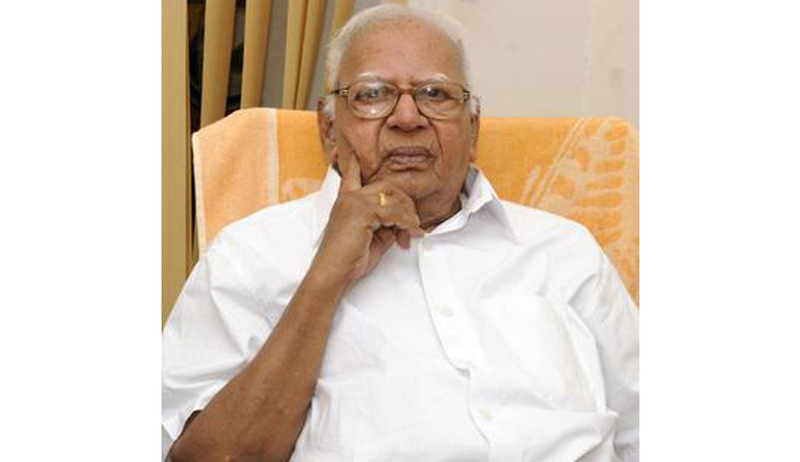 Krishna Iyer, the man who is considered as the “judicial conscience of India”, the one responsible for “humanizing law in India”, breathed his last in the Medical Trust Hospital in Kochi on Thursday. He was ailing from acute diarrheal disease and respiratory problems. According to Medical updates issued by the hospital, he had been put on a liquid diet through a nasal feeding tube over the past few days. He had been detected with high sodium levels and an abnormal heart rhythm. His blood investigations also showed worsening renal parameters two days ago. He celebrated his 100th birthday on 15th November, with legal luminaries and admirers channeling in from throughout the country, showering him with their wishes. Justice Iyer has passed some path-breaking judgments, shaping the way justice is served in India. He transformed the Court from a conservative institution into a radical instrument of democratic dynamism. India was indeed blessed with his intellect and his judgments will continue to fathom the scruples and coax to tread on the conduit of rectitude and solicitude. May his soul rest in peace.